You might think I’ve covered all that Rooster Teeth has to offer, but you’d be wrong. Dead wrong. Wrong to the 100th degree. Not only is the production powerhouse a force on YouTube, they also produce several successful (read: massively crazy successful) projects. These range from legitimate animated web-series (now on Netflix) to a crowdsourced multi-million dollar movie. Before the Rooster Teeth empire was even born- before Rooster Teeth started on YouTube- before Rooster Teeth was, well, THE Rooster Teeth, they created Red vs. Blue (203K). Red vs. Blue (commonly shortened to RvB) started the company’s path to fame and subsequently launched the company into what it is today. Without it there’d be no Rooster Teeth. RvB is a web series created using the machinima technique. This method combine both the video footage from a game (in this case, different variations of Halo) to pre-recorded dialogue and miscellaneous audio. Basically, they replace the audio in Halo with a dialogue so it seems like there’s a different plot than the original game storyline. Capisce? The next most successful Rooster Teeth project would have to be RWBY. Before we start it’s pronounced RUBY not the other, really confusing way you were about to say it (it makes sense once you watch it). RWBY is a CG-animated web series about four girls: Ruby, Weiss, Blake, and Yang. It’s set in a future-fantasy world where huntresses and hunters are trained in schools to fight together against the evils of the world AKA monsters. Currently there are only two seasons with each episode clocking in at around 12 minutes long. Since early 2015, RWBY has streamed on Netflix, combining its standard ten installments into four parts. Rooster Teeth fans absolutely love this series. So much so that fan Jordan Scott created a video game based on RWBY, titled RWBY: Grim Eclipse. RT later officially picked up the video game and plans to release an official updated version to the public within the next year. This series, like RvB, has won awards and accolades for both the show’s animation style and musical soundtrack. I really, really recommend it. Next comes Rooster Teeth’s annual convention. Yup, you heard me right- convention. Meet RTX. RTX is what you’d get if you combined VidCon with E3. Every year since 2011, thousands of gaming aficionados swarm Austin, Texas (where the company is located) to celebrate the gamers and game companies that they love. The main attractions of this convention, like the YT touring events, are their employees who prominently star on their official channel, which puts out content everyday. One of the most popular events at RTX, in fact, focuses around their second channel, LetsPlay. Despite starting only a year after the first VidCon, more people actually attended the event in 2014. RTX reported 30 thousand attendees that year compared to VidCon’s 20 thousand. The gaming community on YouTube is so drastically separate from the rest YouTube that these numbers are not surprising. This event is so popular that early this year the company announced the start of RTX Australia in 2016. You know your company has gotten successful when you not only have an annual convention attended by 30 thousand people, but that you now plan one in Australia of all places. Next we have their podcasts. Overall, RT has produced five podcasts: The Rooster Teeth podcast, The Patch, Dude Soup, Screen Play, and Spoilercast. On a more or less weekly basis some part of the Rooster Teeth crew discuss gaming, films and projects that they are currently working on. For some they record both the audio and video of their podcasts, uploading them to iTunes and YouTube respectably. The longest and most well-known podcast is The Rooster Teeth Podcast. 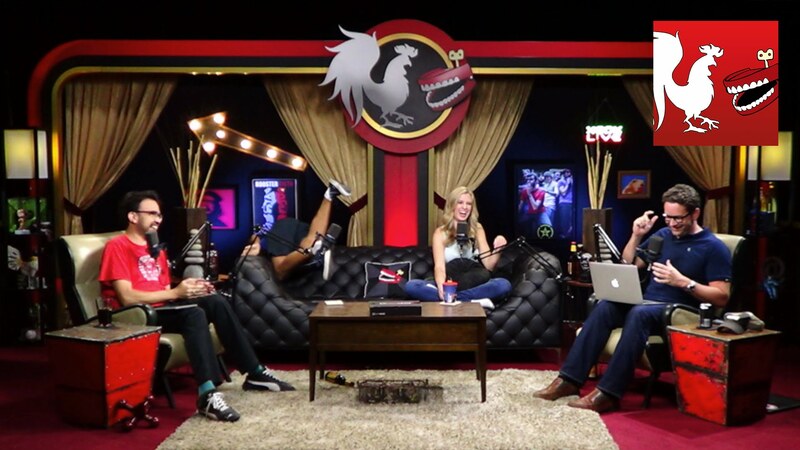 Since its inception in 2008 (known then as The Drunk Tank), the podcast has usually featured three or four of the Rooster Teeth staff members as well as the occasional guest. They typically cover pop culture news in the typical RT comedic fashion. The second pocast of many was The Patch, produced by The Know. As the official RT podcast focused more and more on comedy, the company decided to create The Patch to exclusively cover gaming news. In that same year, they also began producing special episodes of The Rooster Teeth Podcast titled Spoilercast where they discuss television shows, movies, and video games in full detail after they have been released. Following the introduction of Funhaus, Rooster Teeth launched its companion podcast, Dude Soup. The podcast stars the seven members of Funhaus, focusing on comedy, gaming news and game culture in general. Funhaus also hosts a FAQ Podcast. As a stretch goal for Lazer Team, Rooster Teeth also began producing Screen Play, a podcast that focuses on television and film. Both Spoilercast and Screen Play have since been canceled. 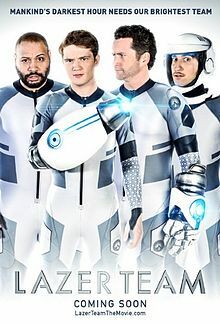 Last, but certainly not least, I present Lazer Team, Rooster Teeth’s upcoming movie. Movie. This film is presented as a combo scifi action comedy, following four hapless idiots who are thrust into the role of saving the world from, you guessed it, aliens. From the moment Rooster Teeth announced their plans for the film, community members everywhere went into berserker mode. They continued that hype up to the launch of the official Indiegogo page in June of 2014. 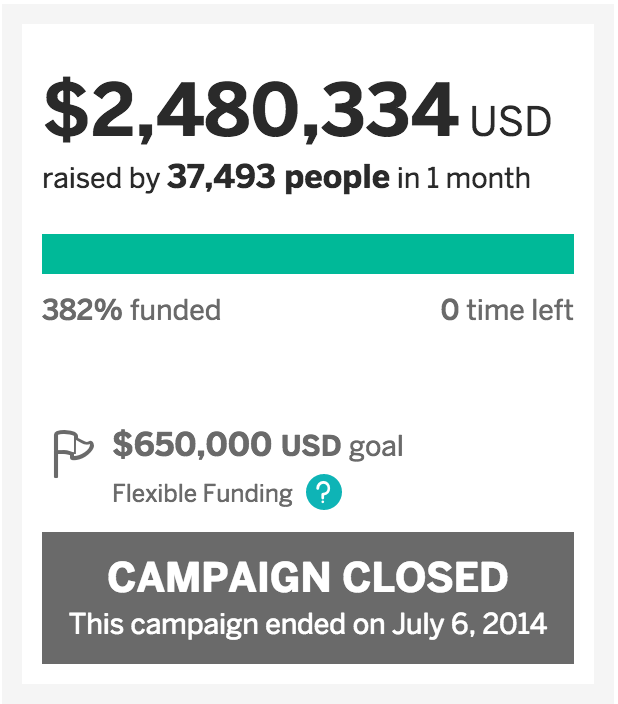 Within 10 hours the campaign reached its $650,000 goal. As of 2015, Lazer Team holds the record for the highest funded film campaign on Indiegogo with over 2.4 million collected. The results of their Indiegogo campaign. The success of this campaign, I believe, not only stems from the community’s admiration, but also from particular perks that were offered. What could supporting Lazer Team get you? Well, for 400 hundred dollars you could get a custom voicemail and digital perks. Or perhaps you’d like a walk on role? That’s listed at a meager 6 thousand dollars. And if you think you deserve the best, well, you can be an executive producer for 10 thousand dollars. Unsurprisingly, by the end of the campaign all 12 spots for that perk were claimed. Looking at all that Rooster Teeth has accomplished in the last decade, it only makes sense that they’d film a movie. The quality and comedy that I’ve seen so far is beyond what I expected. Good job, Rooster Teeth.